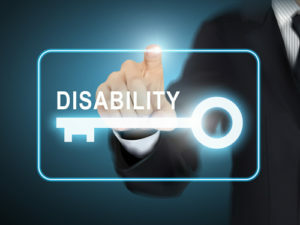 If you are disabled and unable to work and want to file for Social Security Disability benefits, you will need to know how the Social Security Administration (SSA) defines disability. You may also want to have an experienced Advocate such as one from Disability Specialist Center LLC to represent you so you can improve your chances of winning your claim. The Social Security Administration’s (SSA) definition of disability is “the inability to engage in any substantial gainful activity (SGA) as a result of a medically determinable physical or mental impairment(s) that can be expected to result in death or expected to last for a continuous period of 12 months”. You must have a severe medical impairment or combination of impairments that are documented by medical records to prove you cannot work.. The SSA will review your medical records to determine whether your medical condition is severe enough to meet the requirements of Social Security Disability. The SSA will first determine whether you meet a “Listing of Impairments” for your specific medical condition. If you don’t meet a listing, SSA will then evaluate your functional limitations called your residual functional capacity (RFC) to determine whether you will be able to perform your past work or any other work. Disability Specialist Center, LLC represents individuals in Michigan. For a free case evaluation, please call (248) 788-6840 or complete the evaluation form on our website disabilityspecialistcenter.com.